Mark VIII Slicker brush by Chris Christensen, maker of quality products for dog shows, show dog grooming. 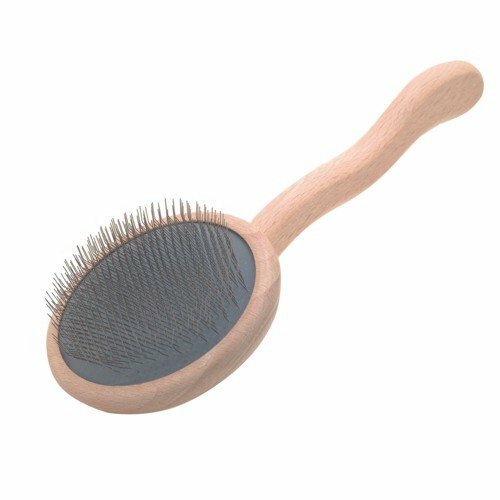 Beautifully handcrafted Beech wood slicker brush with high grade steel pins for less coat damage. Ultra-soft, extra flexible cushion with base of one fourth inch foam. Shape and contours of the handle do all the work for you instead of wrist being at a constant angle. Less stress for groomer and animal.